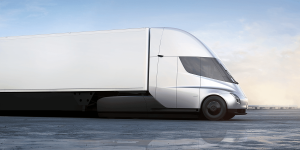 Tesla has opened the order books for its electric truck Semi in Europe – or let’s say in several European countries such as Norway, the Netherlands and Great Britain. Besides that, more and more Model 3 cars are about to get delivered to external clients. UPS joins the growing circle of large businesses that trust in Tesla to launch its electric truck Semi in time for them to reach the climate goals. The carrier ordered 125 units and added data for customisation. 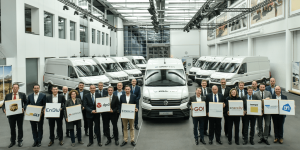 Volkswagen’s utility unit has delivered the first e-Crafters to commercial clients. 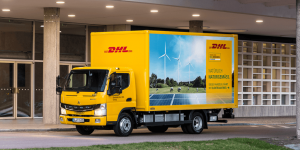 They will test the new electric delivery van in real-life until mid-2018 before a roll-out later that year. 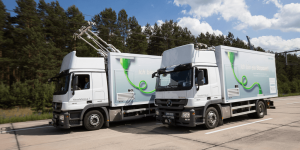 Building works have started on Germany’s first electric highway that will see electric trucks run along overhead wires, thus charging dynamically. The technology comes from Siemens. 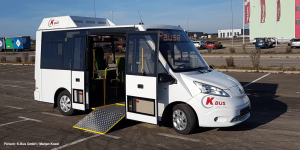 Austrian K-Bus uses a Nissan e-NV200 as the base for its new electric bus that has been certified and delivered to the first customer today. Solar panels serve as range extender. Renault and Brilliance have closed a deal to build light commercial vehicles together in China and to advance the electrification of powertrains. The joint venture is called Renault-Brilliance-Jinbei. 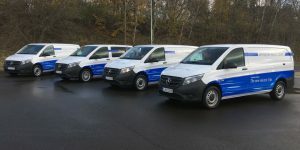 The first twelve units of Daimler’s all-electric Fuso eCanter have been handed out to European clients. Six of them go to Deutsche Post DHL, three to Rhenus, two to Dachser and one to DB Schenker. Heavy industries are rolling since Tesla launched the Semi. 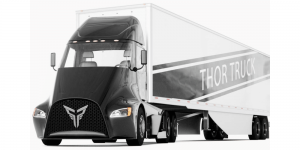 With Thor Trucks, another start-up presents a prototype of an electric truck and the ET-One may beat Tesla to market. 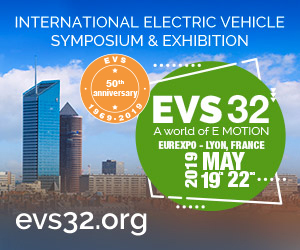 The Californian EV maker has installed an official reservation option on its website, paving the way for everybody to reserve one of the company’s electric trucks. PepsiCo directly orders 100 Tesla Semi trucks in the largest preorder to date. 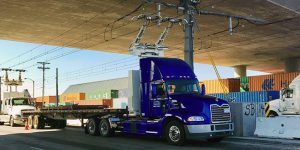 US commercial vehicle manufacturer Mack Trucks has introduced the prototype for a new heavy-load truck with a plug-in hybrid system called the Mack Pinnacle DayCab model. 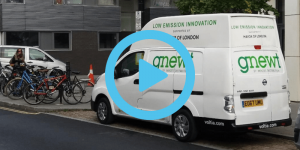 Vehicle manufacturer Voltia has introduced its new electric Van in the UK. 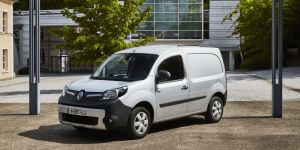 The van is based on the Nissan e-NV200 model. 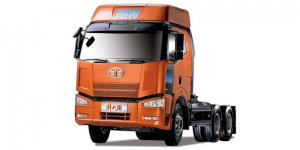 The Chinese truck manufacturer FAW Jiefang Automotive has opened their first factory for the production of electric trucks. 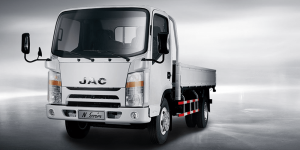 In the new factory in Qingdao 50, 000 trucks are scheduled to be produced annually. The Chinese vehicle Manufacturer BYD has signed an agreement with the Moroccan government to construct a factory in the north African nation. 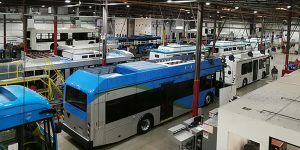 In the production site near Tangiers BYD plans to engage 2,500 employees to construct passenger vehicles, buses and trucks with electric engines, as well as produce a range of batteries. 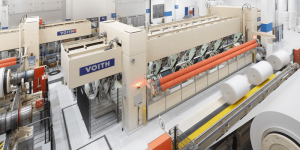 Voith Group plans to develop a drive system for electric buses as part of its new strategic roadmap for emobility. It also includes a dynamic fleet management. Sysco, one of the world’s largest food deliverers and a brewery order a total of 90 electric trucks. They join Walmart and DHL in trusting Elon Musk almost blindly, who has now received 140 orders in total. 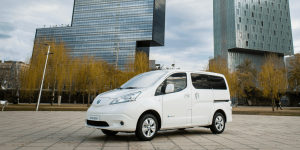 Nissan launched the new electric van with a bigger battery option and has now offered details on pricing and range. The order books will open before the year’s end with deliveries set to start in early 2018. 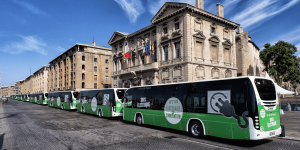 French EasyMile is known for its twelve-seat electric shuttle EZ10 and intends now to develop technology for a full size bus together with several partners, among them Iveco. The upcoming vehicle shall also feature tech for autonomous driving. 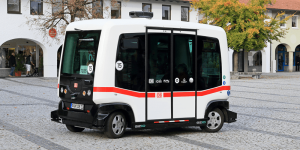 The Spanish manufacturer has chosen Hamburg-based Ferrostaal Equipment Solutions to take care of its electric bus and charging infrastructure business in terms of sales, project management and after sales. Their deal involves the D-A-CH region, namely Germany, Austria and Switzerland. 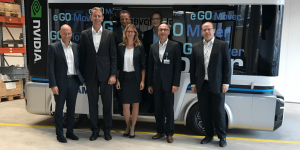 e.Go Mobile a start-up based in Aachen and supplier REHAU have agreed on a strategic partnership to further develop the new e.Go Mover electric van. 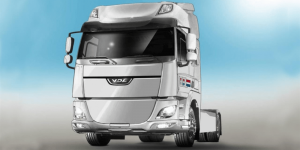 Tesla’s Semi inspires others to follow suit and it is Dutch VDL and DAF announcing their first electric truck. DAF delivers the base while VDL adds the electric motor and battery pack for what is their first foray into the electric heavy weight class. Volkswagen may expand its venture with JAC in China beyond electric cars to build utility vehicles together. A declaration of intent has been signed. German supplier Bosch teams up with Weichai Power, a Chinese car supplier that so far has been specialised in diesel cars. 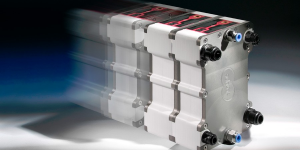 Together, they seek to develop fuel cell and related components for the utility car market. In this context, Bosch will support Weichai to erect plants in the People’s Republic. 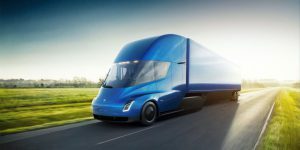 It seems like 150.000 U.S. dollars is the base price of Tesla’s electric truck Semi. That’s at least what the Californian company itself calls the “expected price” for the truck’s 480 km range version. In fact, that’s much less than widely assumed. Mercedes Benz Vans, Daimler’s unit for light commercial vehicles, offers its mid-size eVito with a net price of 39,990 euros. The launch of the light commercial vehicles can be cleary understood as an answer to Deutsche Post’s StreetScooter. 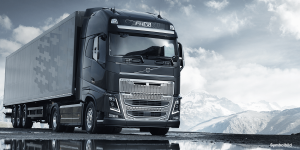 The Swedish carmaker considers adding electric-powered trucks to its portfolio. While Volvo is experienced in producing electric buses, South Korea’s technology giant Samsung could supply the batteries. The German manufacturer is currently putting its electric compact tractor e100 Vario on display at the Agritechnica in Hannover. 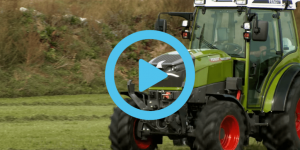 Ahead of the model’s market launch in the upcoming year, Fendt has released a video clip of the tractor and gives some technical details. Tesla has unveiled the Semi and this electric truck appears the most ambitious EV from the Californians to date. A range of up to 800 kilometres supported by autonomous driving and a Megacharger are features designed to distinguish Tesla from any competitors even more clearly than expected. Siemens and the South Coast Air Quality Management District (SCAQMD) inaugurated a 1.6 km test track with an overhead catenary system made by Siemens. 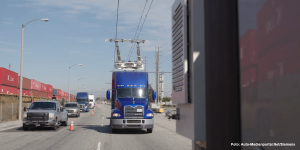 The eHighway stretches out in the Californian city of Carson, close to the ports of Los Angeles and Long Beach.